Update on Aug. 26, 2015: Codeship released the Project Manager role, giving Organization owners a more fine-tuned approach to manage their team. As your team grows, managing multiple projects can become more difficult. At Codeship, we want to make sure your team has the ability to work together seamlessly. That’s why we’ve added Organizations plans to our service. With Organizations, you can more easily manage your team and streamline your projects. You can add different permissions for various team members, assign teams to separate projects, and allow for contributors with read-only permissions on a project. Click on your account name and select “Create Organization.” This will prompt you to a new window where you can enter the name of your organization. This will also give you a unique URL you can use in the future to get directly to your organization page. We know that there are a lot of sub-teams at work within any organization. Adding those teams and its members is now easier than ever before, resulting in centralized management of projects and project teams. This makes the process less tedious and gets rid of management overhead. Owners: The owners have control over all aspects of an organization, from changing the subscription to managing organization projects and teams. Managers: The managers have control over team and project management of an organization. They can add and remove projects and manage the organization’s teams by adding new team members or assigning projects to teams. They have access to all projects and are able to change the project configuration. Project Managers: The project managers have control over the projects they are assigned to. They have the ability to change the project configuration of the project they are managing. They are also able to debug builds. Contributors: The contributors have read-only access to their assigned projects. This means that they can view the project dashboard and build details but are not allowed to change project settings. For more information on Organizations plans and their capabilities, head to our documentation. “The Organizations feature significantly eases our ability to onboard new team members. It also allows us to better segregate teams so that they can just focus on the services they’re directly involved with, while still giving me and my leads visibility over everything. Organizations plans are now available for Codeship customers via Organizations and Enterprise plans. For more information on Codeship plans and pricing models, please visit our pricing page. 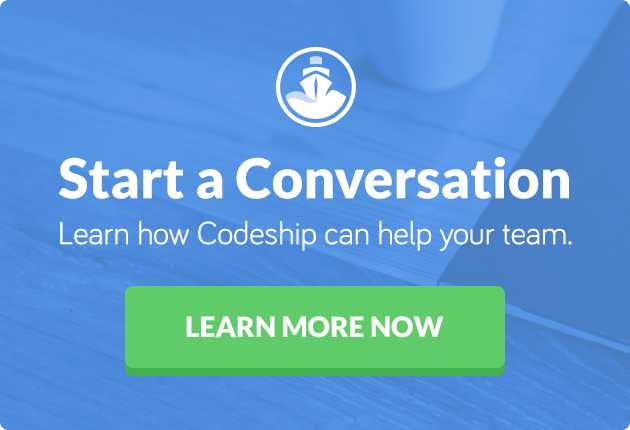 Codeship puts you in the captain’s seat with Organizations.